Sainte-Adresse : an unfortunate choice? 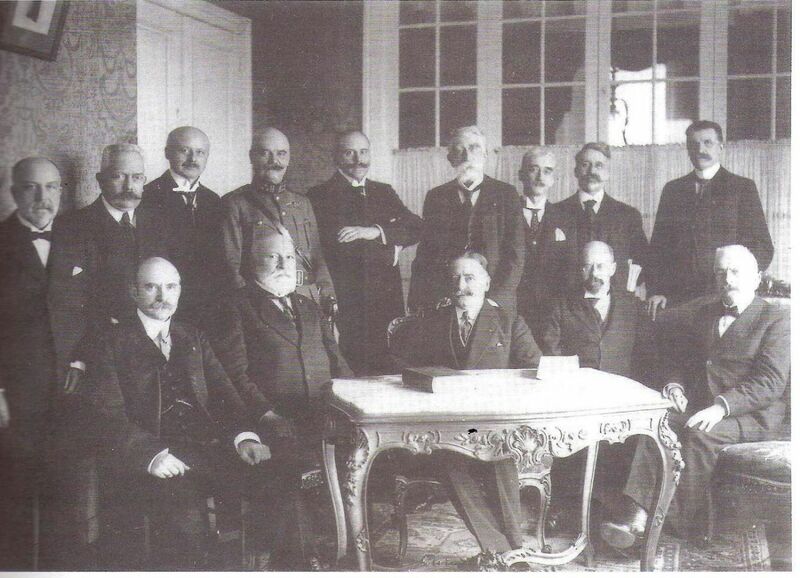 A legitimate question might arise in the mind of a novice historian of the First World War, or of anyone simply interested in the hazards of the conflict: after the invasion of Belgium in August 1914, what happened to the Belgian government? On a purely material level, it muddles along. One cannot doubt that the ministers, their cabinets as well as all of the related apparatus used any kind of subterfuge in order to be able to continue existing. But on the other hand, faced with Belgium's occupation in the very physical sense of the term, how did the Belgium authorities react? Since time immemorial, exile has often been as the saving grace for leaders, statesman, factions or institutions that are under pressure and forced to flee the halls of power. Was this not the case in 1870 when, faced with the Prussian troops advancing across France, the Paris government relocated to Bordeaux? Would the same thing not happen, in markedly different circumstances, in 1914 and in 1940? Exile is linked to the war or to the installation of a particular regime. This is one of its consequences. Whether this involves a single refugee, a maligned poet or an institution lacking a venue to continue its affairs. Given its reasonable size, and in case of invasion of the capital, France can provide its politicians with possible locations to which they could fall back. Belgium, on the other hand, both narrow and butting up against the sea in the west, does not offer the same advantages and will require its Government to seek more welcoming grounds. In France. At Le Havre. But this choice was not the outcome of a quick and resolute decision, devoid of any confusion. There was hesitation. Belgium had to be kept alive abroad. It had to be given a voice, lungs and ideas. The danger? Losing one's autonomy and having to come before the host country cap in hand. Indeed, the host country, but not so much an ally. During the war, after a fashion, Belgium fought on its own. As a neutral country, it defended itself but was never part of the "Allies". It therefore found itself in exile in a "belligerent" country, where it was fleeing invasion by another "belligerent" country. It found itself in a city, near Le Havre, the name of which seems strangely appropriate in view of the dramatic circumstances: Sainte-Adresse. While the invasion of Belgium was initiated by the German high command on 4 August 1914, it was not until the second half of September that the Belgian government began to be truly worried about the unfolding of events. What to do? Surrender? Resist? Go into exile? The siege of the city of Liège and the sadly memorable sacking of Louvain, between 20 and 25 August, were enough to cool some of the bellicose sentiments. A critical step, that brings a halt to the procrastination of the executive branch, is represented by the siege of the port city of Antwerp, which begins precisely on September 28th. Antwerp is a key, if not "the" key. Let us recall that the entry into the war of the British Empire, after the invasion of Belgium for which it guaranteed the neutrality, was primarily motivated by the need to keep the city of Antwerp – one of the world's leading commercial ports – outside of an influence that would be harmful to the interests of His Most Gracious Majesty. Had Napoleon not already compared this city to a pistol pointed at England's heart? While the stakes surrounding Antwerp are considerable, they will be decisive for the Belgian government. After the beginning of the siege of the port by the Prussian armies, the Belgian government decides, come what may, to travel to Ostend on 7 October 1914. It's the start of the exile. What to do? Surrender? Resist? Go into exile? That same day, the liberal elected official and future Belgian minister of Foreign Affairs, Paul Hymans, returning from a mission in the United States, writes in his personal notes while on the boat taking him back to Europe: There were few people on the boat: fifty or so young Canadians going to join up in England, a few young women wanting to serve as nurses. In the evenings, they sang and danced. But the sea was heavy, the wind strong, and the sky dark and low. Incomplete marconigrams were reaching us. We could guess the reality. The Germans were attacking Antwerp. We walked along the deck at length, worried and silent. On October 8th, we arrived in Liverpool. Just before getting on the train to London, I bought the "Times", opened it and read a title in large characters, and I called out to my friends: "Antwerp has fallen! ". On the 9th, I joined up with the Belgian government in Ostend, where my wife was waiting for me. On the 13th, we set sail for Le Havre. Belgian politicians, unaccustomed to such peregrinations, had planned on taking a bit of a rest or, at the very least, to spend a little time and, one might say, have a moment for reflection, either at Ostend or perhaps somewhat further south. Informed of this intention, the French government refuses. It cannot accept that Belgian officers would stop for several days, perhaps even several weeks, on the Saint-Omer-Calais line. Evacuation is necessary, and quickly at that, considering that in this second week of October, the battle of the Yser is just getting underway. It brings an end to the movement war and progressively sets in motion the so-called position war. The front establishes itself. Of course it will still move, but in fits and starts. Certain Belgian ministers wish to go to London, just like their successors who will put this desire into motion, however laboriously, in 1940. Finally, the English option is quickly set aside. Eyes turn more on Normandy, and more specifically on Le Havre. Why this choice? Firstly, the city is relatively close to Belgium, and secondly, at that point, under little threat of invasion, but it especially represents a permanent contact point with the British Isles. Through the Belgian ambassador assigned to Paris, Baron Guillaume, the French government in exile in Bordeaux answers, on 11 October, the request that had been submitted to it by its Belgian counterparts, i.e. with the aim of setting up shop in Le Havre; the response is positive. I bought the "Times", opened it and read a title in large characters, and I called out to my friends: "Antwerp has fallen!" 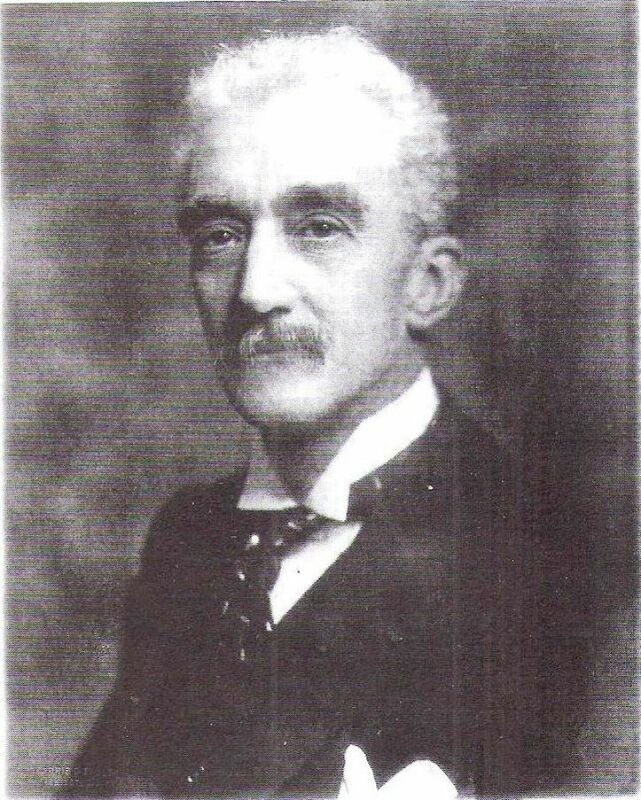 Count Henry Carton de Wiart, a permanent fixture as the Belgian Minister for Justice (1911-1918), was one of these newcomers. He notes: It was the middle of the night when we arrived in Le Havre. Despite the unseemly hour, a great crowd was waiting for us on the pier and we were greeted with cries of "Long live Belgium, long live our saviours! ", which somewhat eased our heavy hearts. But everything almost turned out very poorly. Indeed, with the Belgian ministers having been routed to the hotel in Sainte-Adresse, it turned out that the Turkish representative was also there! Almost fit for vaudeville, the scene could have ended quite melodramatically.While the Ottoman Empire, the "sick man of Europe", is a neutral power, as of 2 November 1914, it will be included by default in the same camp as Germany and Austria-Hungary, as a result of having had its ports admit the ships Goeben and Breslau, before they went off to pound Russian positions.s. Also, on 2 July 1914, Constantinople had signed an alliance treaty with Berlin in the event of a war against Russia. The "Sublime Porte" was therefore a power that had to be watched carefully, in Paris and in Brussels. Carton de Wiart writes to say how the Turk was driven away from Le Havre: Since his presence in this location would allow him to know many things that he could then report to his government, the French authorities, in this time of heightened spymania, was not very keen on the presence of this Ottoman diplomat in a place and in a port where the military and naval operations, just like the political information surrounding them, could provide abundant matter for his observations and reports. The problem was soon resolved most ingeniously. The Turkish minister was informed that the wages sent to him by Constantinople were at his disposal in a bank in Marseille. This bank informed him that if he wished to receive this sum, and any subsequent sums, a compartment had been reserved for him from Le Havre to Marseille, and that all personal facilities would be provided to him for this trip. Prompted by hunger, he took advantage of this gracious offer and we heard no more about him. Almost fit for vaudeville, the scene could have ended quite melodramatically. It was still nevertheless necessary to arrange this bridgehead of a rather unusual Belgian colony, that could not be treated as a simple citizen, at the risk of provoking a Franco-Belgian diplomatic incident that would serve no one. Everything is carried out in a context in which, let us recall, the two countries are not allies, but rather fighting the same enemies. However, the old saying that The enemies of my enemies are my friends is not always uppermost in everyone's mind at the time. Blunders must be avoided, and everyone walks on egg shells. On 13 October, a kind of posh Noah's ark arrives in Le Havre, aboard the Pieter de Coninck. This ship normally travels between Ostend and Dover. It is followed by the Stad van Antwerpen. Once disembarked, where to put these people? They can't be accommodated in the blockhouses. As fortune would have it, it would seem that, at some earlier point, Le Havre had wanted to compete with the seaside cities of Trouville and Cabourg (at which it failed to do). 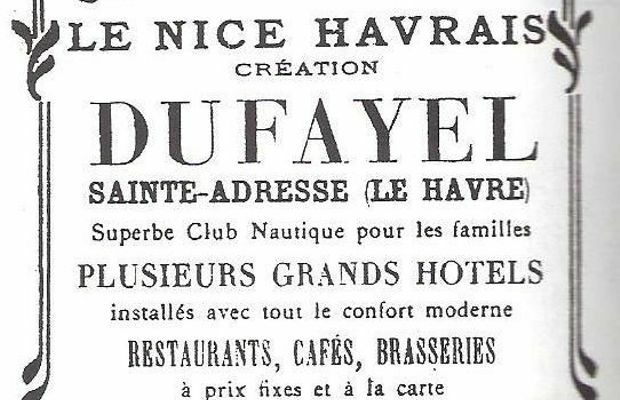 A certain Mr. Dufayel, director of the Nice-Havrais, was the authorising officer for this major project. A habitable – and especially empty – infrastructure, for reasons both climatic and obviously political. The Belgian ministers are therefore received by Victor Augagneur, the French naval minister. For four years, the Belgian government would be represented by a timber-framed house, at the top of a cliff, in the purest Norman style; it will be destroyed in 1944. While the community of Sainte-Adresse remains French, the buildings occupied by the Belgian authorities are subject to extraterritoriality. The King of the Belgians, Albert 1st, for his part, will own the Villa Roseraie there, but not really use it. The Chief of Staff, Count Charles de Broqueville, will be housed at the Villa Roxane, and the diplomatic corps at the Hôtel des Régates. Soon, Sainte-Adresse will be home to nearly 12,000 Belgians, and it is from here that the bulk of Belgian policy during the 1914-1918 war will be conceived, planned and, finally, ordered. Henri CARTON de WIART, Souvenirs politiques, tome 1, 1878-1918, Bruges, Desclée de Brouwer, 1948. Marie-Rose Tielemans, "Le gouvernement belge à Sainte-Adresse en 1914-1918", in Bulletin trimestriel du Crédit Communal de Belgique, n° 168, 1989.